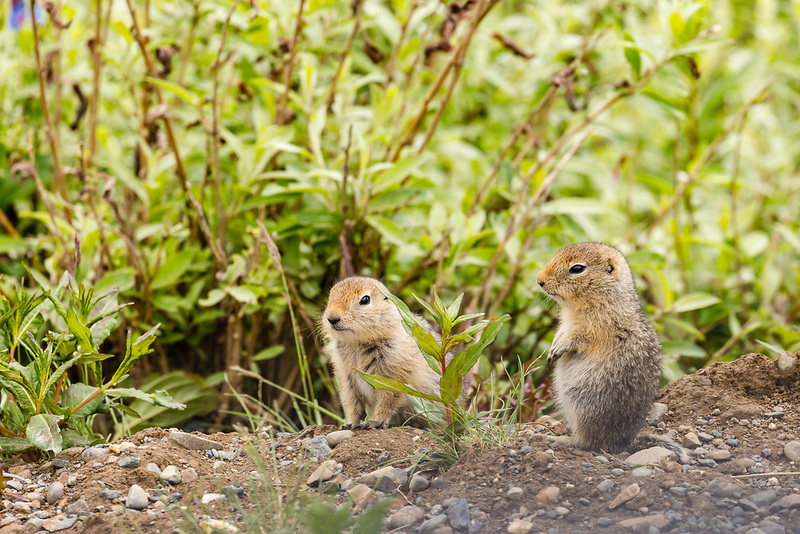 Two curious juvenile Arctic Ground Squirrels (Spermophilus parryii) along the park road in Denali National Park in Interior Alaska. Summer. Afternoon.